The newest rotameter from the pioneer in variable area flow technology. Brooks Instrument is more than a flow meter manufacturer. As the leading supplier of flow technology, we offer the world’s most comprehensive line of precision flow control and flow measurement devices. Explore high-performance instruments, from mass flow controllers to rotameters, supported by expertise and service only found at Brooks Instrument. Quickly find products and documentation by name or model number. NEW! Fast delivery of select variable area flow meters. Get Factory Certified Service or field support to calibrate and repair your instrument. Our applications engineers are ready to help solve your measurement and control challenges. EtherNet/IP™ is now available and fully integrated into our industry-leading SLA5800 Series mass flow controller (no add-on adapter needed), enabling access to an array of MFC diagnostics and alarm features that provide robust, real-time process information. An enhanced device profile enabled in the EDS file facilitates setup and integration of the MFC into Rockwell Automation (Allen Bradley) DCS/PLCs. 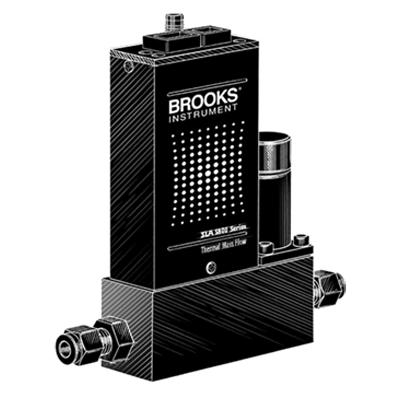 As a leader in precision and performance of mass flow, pressure and vacuum technologies, Brooks Instrument is committed to helping the next generation of engineers achieve their potential in areas of fluid mechanics, control and measurement. The behind-the-scenes work in these areas impacts the outcome of what people encounter in their everyday lives from industries such as biopharmaceutical and electronics manufacturing, to alternative energy development. This year, Brooks Instrument has introduced a new engineering scholarship for undergraduate students enrolled in an engineering program at an accredited college or university. The $2,000 scholarship will be awarded based on the candidate’s potential for leadership and his or her interest in engineering with a focus on instrumentation, fluid mechanics and flow or pressure measurement.